The enduring power of Star Wars™ is tied to the compelling strength of its complex characters, many of whom occupy the space between good and evil. 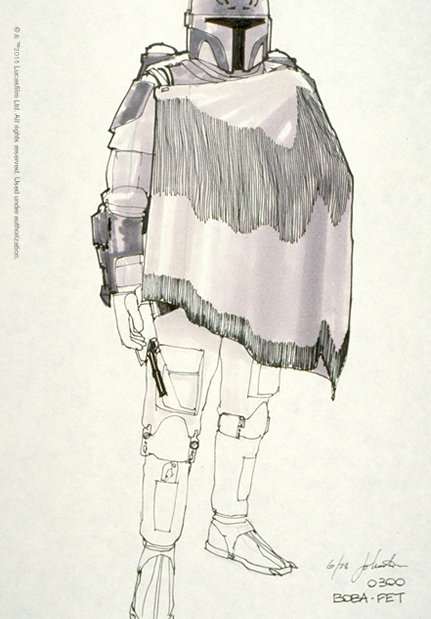 Their costumes are essential to the dramatic effect they have: many of these characters never even show their faces, which remain hidden by masks. 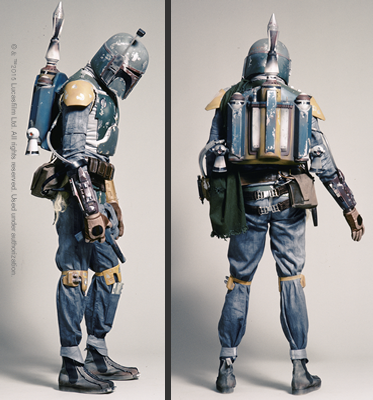 The bounty hunter Boba Fett became one of cinema’s all-time favorite bad guys in The Empire Strikes Back and Return of the Jedi. 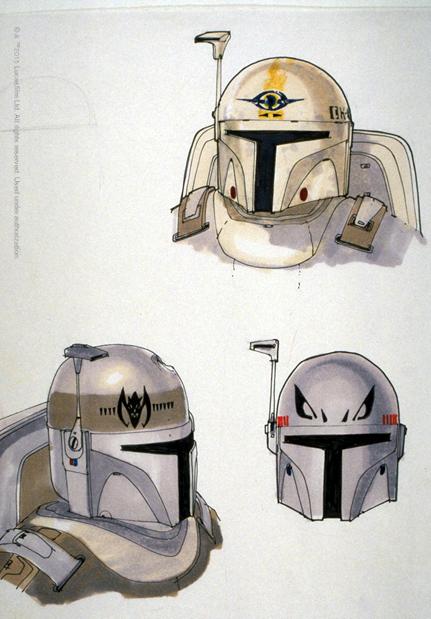 Boba was initially designed in all-white armor, which reflected his role as it was originally conceived, as a “super stormtrooper.” When the character was revised to be an individual bounty hunter, the armor became custom, mismatched colors. 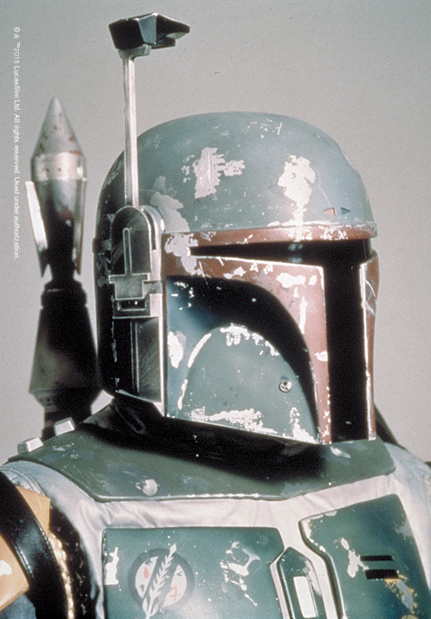 The Boba Fett costume was built by several crewmembers and painted by Joe Johnston.